Every day you meet people in professional and social settings and the first few seconds sets the tone for what will follow. That "One Minute Honeymoon" can be the beginning, or the end, of a relationship, a sale, a contract, or a job. Would you like to have the confidence of knowing you make those first few seconds count in your favor and the impression you make is a favorable one? Protocol Plus can give you security with life's social graces in any environment. You tell me about your organization or your concerns. 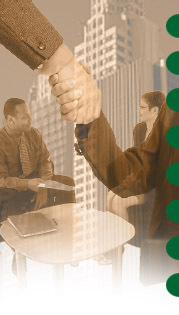 I will assess your needs and customize a training program for those needs. My training is timely, appropriate, lively and professional. Group seminars or private consultations are available at the location of your choice. Good manners are invisible, subtle, silent and effortless. It's knowing what to do, when to do it, and how to do it. Having "etiquette and protocol intelligence" gives you the edge by allowing you to focus on substantive issues. Etiquette is not for special occasions; it is for everyday use. Etiquette is not snobbery; it is the art of not being a snob. Etiquette is not phony; it puts people at ease. Etiquette is not intimidating; it is user friendly. Success is being noticed - for the right reason. Be noticed because you have reached the pinnacle of refinement with impeccable manners. Reach your goals with polish, poise and professionalism.